For the past few months I’ve been trying out a new hobby. I have become completely enamoured with cross stitch. My mum tried to get me into cross stitch when I was younger, but I was never motivated to ever start anything. Something must have happened in those 14 years, because I find the craft so enjoyable and relaxing now. I managed to complete my first little cross stitch earlier last week (pictured below) and have a large piece in the works at the moment. I got the pattern for my cross stitch from SewHappyCrossStitch on Etsy. If any of you are interested in getting started with cross stitch I suggest checking out Bothy Threads or cherrylanedesigns on YouTube for instructions for beginners. Hopefully this inspires you to try something new. Who knows? You might find your new favourite hobby. 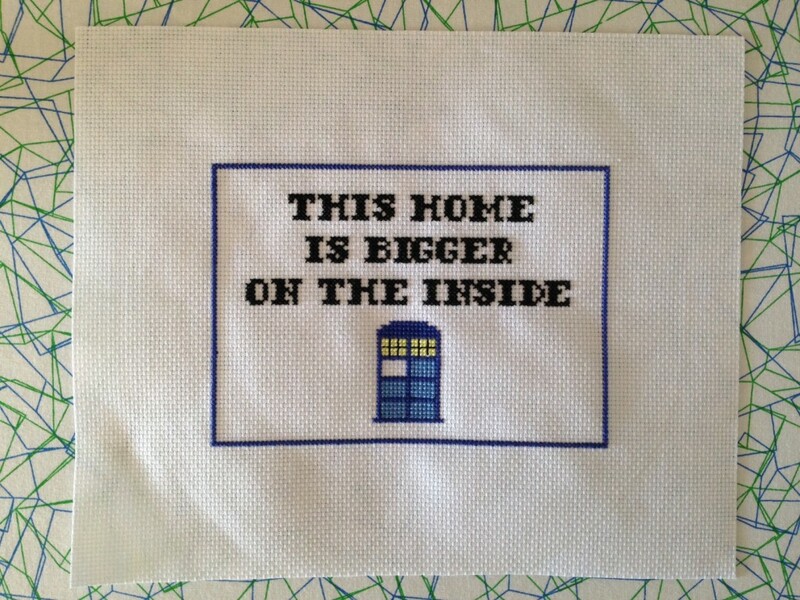 This entry was posted in Crafts/DIY Projects and tagged crafts, cross stitch by Sarah. Bookmark the permalink.